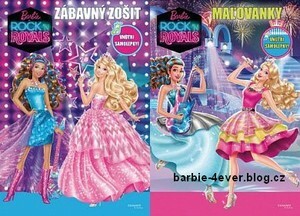 Barbie in Rock'n Royals Slovak Books!. . Wallpaper and background images in the i film di Barbie club tagged: photo. This i film di Barbie photo might contain anime, fumetti, manga, and cartoni animati.